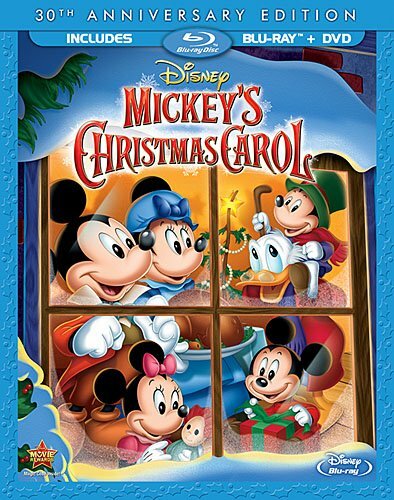 Ring in the holidays with a new 30th Anniversary Special Edition of MICKEY'S CHRISTMAS CAROL. Disney's timeless tale sparkles like never before with fully restored classic holiday shorts, plus all-new bonus features! Make the season merry as Mickey, Goofy, Donald and all their pals star in a heartwarming retelling of Dickens' unforgettable holiday tale. Ebenezer Scrooge (Scrooge McDuck) is far too greedy to understand that Christmas is a time for kindness and generosity. But with the guidance of some wise ghosts (Goofy and Jiminy Cricket) and a bunch of newfound friends, Scrooge learns to embrace the spirit of the season. Share this wonderful holiday treat with the whole family!